Držák rezervního kjola (zinek) a montážní set (aplikace na přední čelo). Now more space can be gained inside your bus by mounting the spare tire on the front. 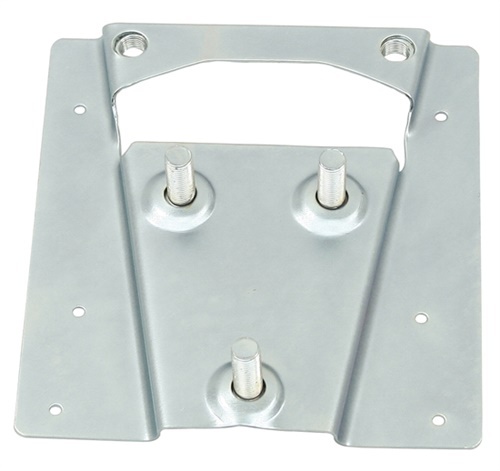 The special mounting bracket fits any year bus and comes with the necessary hardware to install. Vinyl wheel covers are available to dress up and complete the job.